Prior to coming to McCarron & Diess, M.J. Fassett was a civil litigator at a mid-size law firm with a general practice in Washington, D.C. There, she represented numerous corporate and individual parties in jury and bench trials in the state and federal courts of Virginia, Maryland, and the District of Columbia. M.J. also became an experienced probate and guardianship practitioner in these jurisdictions. In 1992, she began representing numerous farmers before USDA/NAD and the federal courts in payment limitation matters, disaster relief cases, conservation reserve disputes, and a variety of other farm program cases. In 1994, she became familiar with PACA and began representing produce companies before the USDA in reparation matters and disciplinary proceedings, and in PACA trust actions in the federal courts. 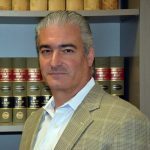 M.J. joined McCarron & Diess in 2002 to concentrate on PACA law and cases. 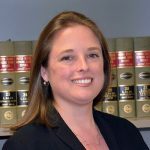 She has handled hundreds of PACA cases and focuses on litigating complex commercial disputes in the federal district and bankruptcy courts. She was admitted to the Bar of the Supreme Court of Virginia in 1987, after receiving the degree of Juris Doctor from the Georgetown University Law Center. She is also admitted to the Bar of the Court of Appeals for the District of Columbia, the Bar of the Court of Appeals of Maryland, the federal district court bars for Virginia, Maryland, the District of Columbia, the Northern District of Illinois, admitted to the Bar of the Supreme Court of Pennsylvania, and the U.S. District Court for the Eastern District of Pennsylvania, and a number of U.S. Courts of Appeal. Reported cases: S&H Packing & Sales Co. v. Tanimura Distrib., 850 F. 3d 446 (9th Cir. 2018 en banc). Atlantic Coast Produce, Inc. v. McDonald Farms, Inc. 2005 U.S. Dist. LEXIS 14993 (W.D. Va. July 21, 2005); Nickey Gregory Co., LLC v. AgriCap, LLC, 592 F. Supp. 2d 862, 878 (D.S.C. 2008); Nickey Gregory Co., LLC v. Agricap, LLC, 597 F.3d 591 (4th Cir. 2010); Produce Alliance, LLC v. Let-Us Produce, Inc., 776 F.Supp.2d 197 (E.D. Va. 2011).